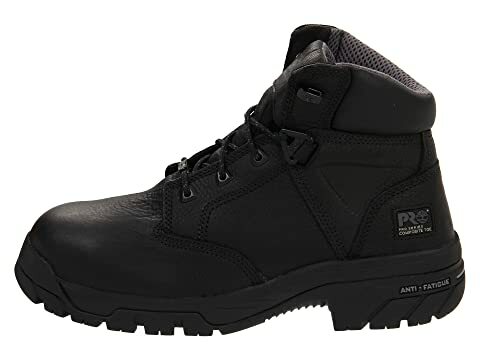 Protect yourself from the ground up when you're on the worksite by slipping into the cushioned, supportive comfort of the Timberland PRO® Helix 6" Waterproof Composite Toe boot. 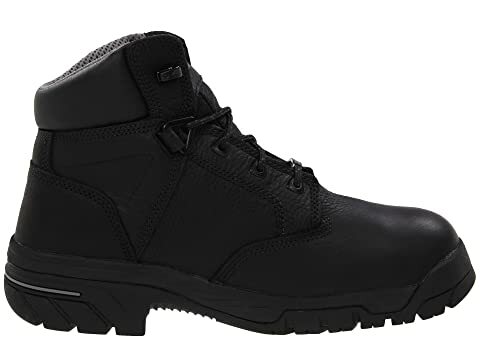 Hardy, full-grain waterproof leather upper with a waterproof membrane to ensure optimal protection. PowerFit™ comfort system uses ergonomic elements at key zones to promote enhanced movement and support. 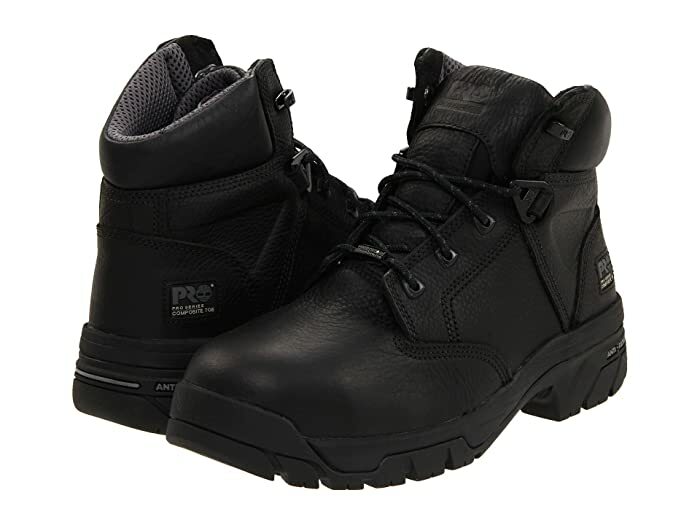 Composite TITAN® shaped safety toe offers non-metallic protection and comfort. 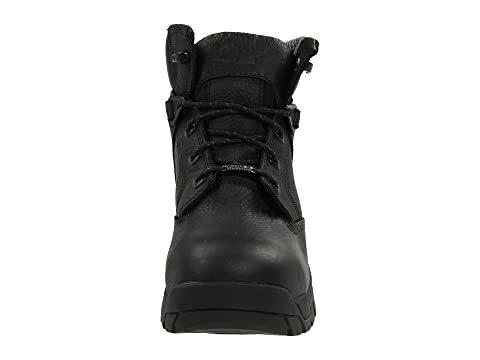 Active heel lock lacing system promotes a secure, snug fit. Contoured, open-cell PU footbed for all-day comfort. 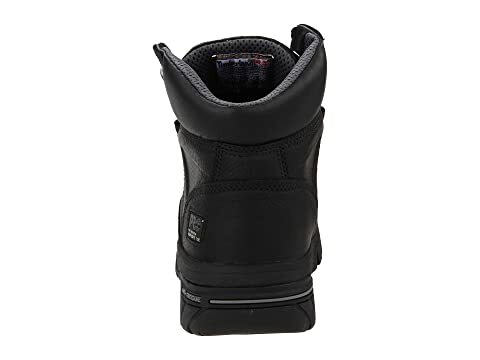 Innovative Anti-Fatigue technology absorbs impacting shock, while offering optimal energy return for all-day, standing comfort. Nylon shank for added support. Composite toe meets I/75 and C/75 impact and compression ASTM F2412-11 and F2413-11 safety standards. Meets ASTM F2412-11, ASTM F2413-11, and ASTM F2892-11 electrical hazard standards to provide secondary underfoot protection against the hazards of stepping on live electrical circuits, electrically energized conductors, parts, or apparatus. 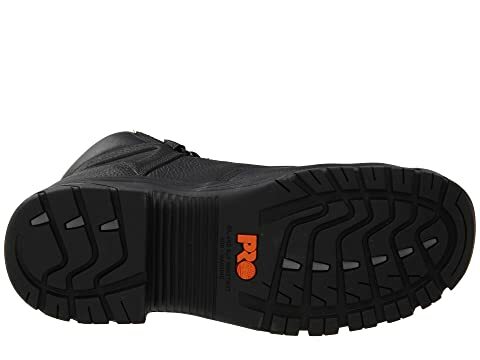 Rubber outsole offers exceptional slip resistance, oil resistance, heat resistance and abrasion resistance.